This little-used concrete jetty was built as recently as the late 1960s. It is still used occasionally by fishing boats, as well as for visits to the castle during the summer. 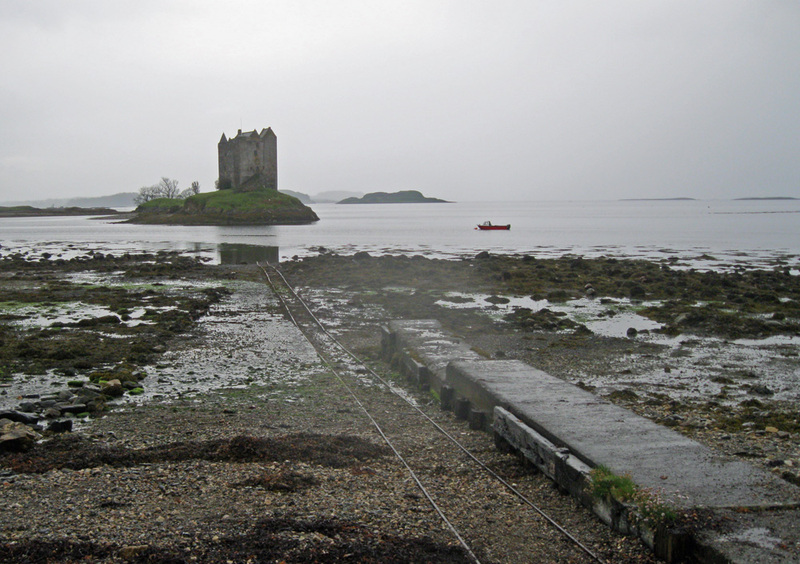 The railway track visible in the photo above extends out into the loch and is still used for hauling small dinghies up to the boathouse at low tide. At high tide around 85% of the jetty is covered by the sea.